Today I finally sorted out the box of things from when Zaki was in intensive care. They’ve been packed away ever since we got home and I know it sounds silly but I couldn’t bring myself to go through them, the thought of it made me feel hot and sick. I think I didn’t want to go back there emotionally and I was worried that seeing his clothes and all the other bits and bobs from that time would take me straight back. It wasn’t as bad as I thought though and I’m glad I’ve finally done it. I jazzed Zaki’s hospital cot up with that cloud garland and those mittens were a gift from a very good friend, who crocheted them herself. 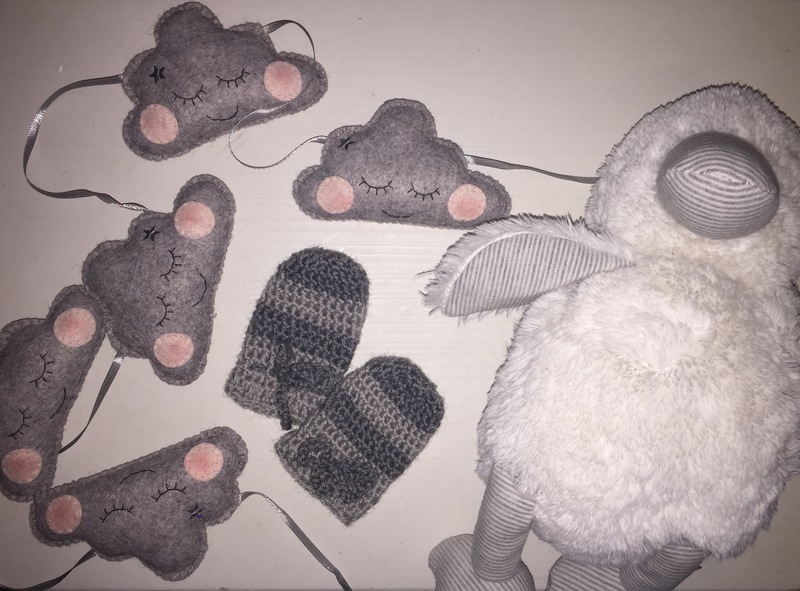 The soft toy was one of many I ordered from John Lewis while sat at his bedside because I was fretting his cot looked bare compared to the other babies. Seems ridiculous now. So that’s my photo for today. Think yourself lucky it’s not another sleeping kid shot!